So has anyone actually heard anything definitive about how long this drama is going to be? There wasn't even a smidgeon of Taozi in this preview, which makes me think we're still not near enough for that happy ending that I would like. Oh well. It looks like Mama Li might be deserting her children in favour of Tian Xing. I mean, I know he's cool and all, but okay. We'll just go with that storyline then. Also, Lance is super upset. Like really upset. 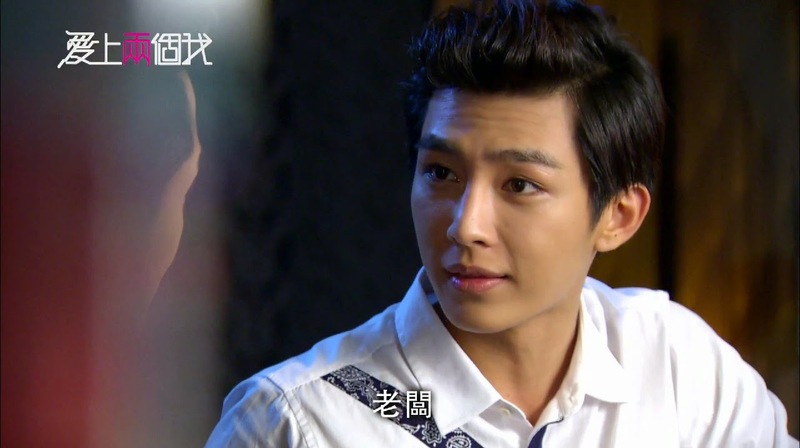 Lu Tian Xing: I will be the future CEO of Tianji company. Lance: You admit that I am not your son*. This is the sister I have treasured for 20 years. * Nikki provided a clearer translation in the comments below: "Just admit that I was never a son to you." I am a little confused. Wasn't Tian Xing already the CEO of Tianji? Did the story change and now they're switching him to aspiring to be the CEO? Or did Tian Xing get kicked out of the company during his vacation time? Small consolation for the craziness - Tian Xing is looking fiiiiine!!! I officially love you. Thanks for posting! oh he IS a beauty, isn't he...I'm guessing that he was kicked out OR previously, he held that role but as an employee and now he's going to be given the whole thing outright. As for Lance, I think his statement must not be literal - that it means Mama Li's actions make it seem like he's not her son or the brother who has helped raise Huan Huan. However, I do not know where any of this is going, especially since Tian Xing never seemed to want any of that power, but now . . . Is he doing this all in an attempt to save Oz and his love? Does he think he has to give her up to get the power he needs to protect her? 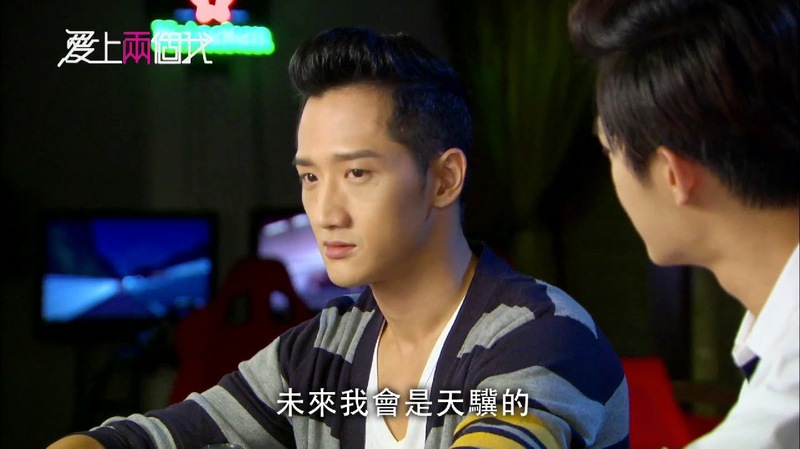 I think this time Tian Xing battle with li family really gonna work. He is using the brother, power and the business to win over his love with Le si. What a clever move. Really wanna see how,s the ending gonna be like..
That makes sense to me. Hopefully they will explain it more in the episode about what exactly is going on. And yes, Aaron, that man is so beautiful and such an amazingly talented singer as well! Awesome! Thanks! Oh Mama Li. She does have a point though. Tian Xing is the creative genius for sure! I really hope that Tian Xing doesn't do any more noble idiocy type crap where he sacrifices himself to save everyone else. He might still, but I hope that in the end it will be worth it! I hope it works too! I hope that we get a good ending, or at least a satisfying one! I think the CEO is actually Li Mama. And Tian Xing was sort of like the general manager? So when TX marries HH then HH's shares are his as well which makes TX the largest shareholder of the company, making him the CEO by default? Ah, that makes sense. Thanks so much for explaining! Honestly I only watch this to ogle at Aaron now. The story just hurts my brain... I keep waiting for them to surprise me with a brilliant twist but it's not happening. And we're running out of time. I can't stand to see HH now - just want to slap that smug pouty face so much. And to think she used to be my favorite character other than LTX! Thank God Aaron is just so beautiful that I can't do anything but stare at him when he's on screen. Can we actually hope for an awesome ending with a wedding and babies in tow? The way it looks if that actually happens it will all be done in the last 5 minutes. The way it's going I'm waiting till the end before I watch the last three episodes so I can fast forward all the unpleasant bits! Thanx again for the preview. Hmm...from the previous episodes I suspected that there is some hidden secrets behind LTX's family...I guess that is why Mama Li's favor for LTX is fishy. It's Lance time to get mad. Haha. I think we're all in the same boat. I also used to really like Huan Huan, but there's no way that I like her any more! And I think that we can all just ogle Aaron to our hearts content and try and forget the rest of the crazy, crazy story! I am not sure if we will even get a nice ending, let alone a good one. I guess we'll just have to see as the show is soon over. My pleasure! I wish they wouldn't add silly stuff like that at the end. I hope there really isn't a birth secret because that would just be lame and idiotic at this point in the story. Like really idiotic. Oh Lance. Poor crazy, evil Lance. Instead of "You admit that I am not your son." I think the wedding is an advertisement video being mead knowing his is a brilliant i think he come with this idea to fool them all, and get both company under him. sent HH to psyc hospital and Tal to himself. I have read on the English Wikipedia that the original run was supposed to be 23 episodes. No wonder the sloppy writing (and the Sunday drama curse). I have a theory that he wants to own the company so he can give it to OZ ... AND when Lance asked Huan Huan if she would help him in the future, it was to snag her shares .... AND when Mama Li told Huan Huan she kept secrets from Tian Xi ang (how come he doesn't have an " English name" like Lance, Leo and even Helen??) too the secret was he already legally owns the company. That is why she is desperate for him to marry Huan Huan. Hmmm, I think those are some really great theories! We will have to see how they pan out. That would be awesome if he already does own the company! Ah! Hopefully all this drama will end soon and we can get some lovely happiness for Tian Xing and Taozi. And yeah, I have no idea why he doesn't have an English name too. That would be super awesome if it is just a commercial! I think we all like to watch dramas just because we love an actor. I am two episodes away from finishing Just You, which I started watching because of how lovely Aaron is. I think I also want to start Autumn's Concerto soon as well. I have also been hearing the 23/20 count. Let's hope we get a nice and also happy ending! We deserve it after all the craziness! Haha. Yeah, he has been pretty evil in all of this, that's for sure! I think that if we all had a dollar for the plot holes left unfilled, we would all be millionaires ;) Sometimes I wonder how all these companies decided to make dramas. It seems like there's a lot of confusion and it totally messes up the pacing and storylines of a drama so much! I have finished ep 19. I will not do any spoilers, but I will say that I actually felt sorry for Lance in this episode even while not forgiving him for the past and that Aaron should play an evil character next or at least some crazy badass character. He is kind of scary now. May be Mr. Lung can be LTX accountant who is holding the the some off the shares for him. wouldn't that be nice???? Oh man! Is this drama bi-polar or something? It's so crazy to me that it's turned out this way. And now that everyone is saying that there is only one episode left, I cannot for the life of me figure out what they are going to do. Gasp! Will this rom-com end up having a sad ending? Tian Xing has turned into some Temptation of an Angel/Golden Cross/Equator Man/Story of a Man's vengeance plot character. He is really good at being scary and sneaky. Actually, I can now so see him playing one of those characters . . .perfect, saintly orphan but they killed his sister and his first love and the woman who adopted me and gave him the feeling of family and then they stole his identity and made everyone else think he was a serial killer before they put him into prison with the man who seduced his sister only to leave her pregnant (before she was killed) and who beat him every day, so now he is back to get vengeance and make everyone pay kind of stories. Eek!!!! Nooooooooooooooooooooooooooo!!! That sounds horrid!!! I have heard that there is only one more episode. I know that Aaron has said that the ending will be unexpected, so who knows what that means at all. It also makes me not want to catch up and finish (but I will eventually). Don't leave me!!! I am worried that I am going to be the only regular person (able to break free from the beauty drug of Aaron) watching. Even JoAnn threatened to quit! Haha. I will probably stay to the bitter end...though I am not sure when I'll actually have a chance to catch up...we shall have to see. I just watched the episode 20 preview and with everything we've discussed, I am completely bewildered how we are going to get to this end...unless it's a dream. https://www.youtube.com/watch?v=UwaY1VvtkYA And I'm working on getting the translation post up soon! Wow. I don't even know to say to that but wow. I am going to have to watch just to what sort of plot machinations they put together to pull this off. I'm just crossing my fingers that it's not a dream sequence fake out...but they wouldn't do that to us, right?! *fingers crossed* so that we can get the happy ending we all want!